Child support payments are based, in large part, on parents’ incomes; but what happens if circumstances change, and salaries are increased, reduced, or a parent loses their job? Florida law does not expect a parent to continue to make the same child support payments if their financial circumstances have changed, but in order to modify an existing order, a specific amount of change is required under the guidelines. Florida law provides for consideration of a number of factors in calculating child support payments, including the needs of the child(ren), age, station in life, standard of living, and financial status/ability of each parent. In order for the court to find that the child support guidelines provide a substantial change in circumstances as a basis for modifying an existing child support order, the difference between the existing monthly obligation and the amount provided for under the guidelines must be at least a monthly difference of 15 percent or $50 (whichever is greater), and must be based on involuntary circumstances. In other words, the child support payments must change by 15 percent or $50 each month. This may arise not only from one parent losing their job, but also a potential increase in salary, or a change in the child(ren)’s circumstances. Some of these circumstances could include spousal support payments, other child support orders, taxes, daycare costs, and health insurance costs. The process to modify child support payments begins with submitting a Supplemental Petition for Modification of Child Support. Working with an experienced family law attorney is crucial during the process because it involves the disclosure of financial information from each party. In addition, it can sometimes be difficult to determine which circumstances are involuntary and which are purposeful, especially when it comes to job loss or salary reduction as it affects child support payments. 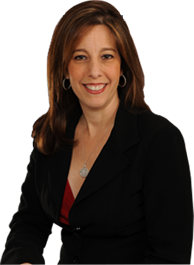 If you are facing child support issues, contact Sandra Bonfiglio, P.A. to schedule a consultation. From our offices in Fort Lauderdale, we serve clients in Boca Raton and throughout Broward County.